Persimmons can be divided into two distinct groups: the native persimmon (Diospyros virginiana) and the Oriental persimmon (D. kaki). The fruit from native varieties tends to be smaller, seedier and more astringent until the fruit is ripe. Many native persimmons are simply seedling trees, and as a result, the quality of the fruit may vary widely. However, a number of native persimmons have been selected, named and are available for purchase. Oriental persimmons were introduced into the United States about a hundred years ago. As a general rule, their fruit is superior in quality to native persimmons. Native persimmons are more cold-hardy than Oriental varieties. 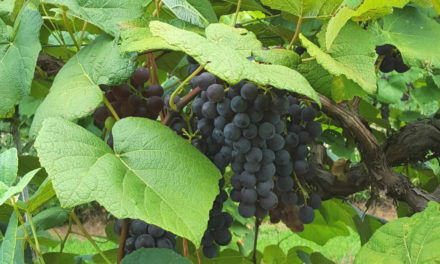 The native varieties may survive temperatures of 20-25 °F below zero, while Oriental varieties may be killed or injured when temperatures fall below about 10 °F especially after a warm period in the winter. Growers above the “fall line” in South Carolina (the border between the Piedmont and the Sandhills and Ridge) should select the varieties Great Wall, Korean or Sheng when planting Oriental persimmons (see table below). These are the most cold-tolerant of the Oriental varieties. Oriental persimmons (Diospyros kaki) ready for harvest. Oriental persimmons are subdivided into two classes: the astringent and the non-astringent. The astringent type should be completely soft before eating. The non-astringent types are firmer and can be eaten prior to softening. Oriental persimmon fruit may reach the size of a peach. 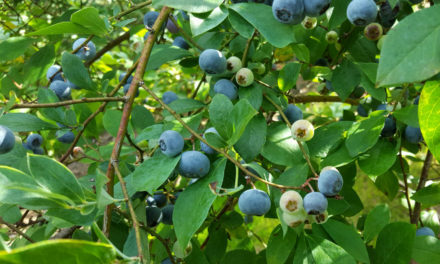 The native varieties produce fruit that is closer to the size of a plum. Most native varieties must be completely ripe and soft before they lose enough astringency to be eaten. Persimmons will continue to ripen after they are picked from the tree. It is a misconception that frost is required before persimmons are edible. In fact, frost will ruin immature fruit on the tree. Native persimmons are usually dioecious, which means they produce either male or female flowers. Rarely are native persimmons self-pollinating. Both male and female trees are required to produce a full crop. Oriental persimmons may produce male, female and/or perfect flowers on the same tree and do not need cross-pollination to set fruit. Native and Oriental persimmons will not cross-pollinate. A mature native persimmon tree may reach a height of 30 to 40 feet. Oriental varieties will be slightly shorter. Little fertilization is required. Normal lawn fertilization is usually adequate if the tree is growing in the landscape. Pruning is also minimal. Remove dead or injured branches and any branches growing in a crossing pattern. Insect pests of persimmons include scale, persimmon psyllid, leafrolling and defoliating caterpillars, and persimmon borer. It is important to monitor the persimmon borer. If borer damage is noted on the trunk or exposed roots, treatment may be required. Diseases include fungal leaf spot, twig dieback and powdery mildew. Early Golden Productive with medium-sized fruit containing 3 to 8 seeds. Excellent quality, firmness. John Rick Productive, excellent flavor and firmness with 2 to 8 seeds. Killen Good flavor and firm fruit. Medium-size and moderately productive. Miller Productive, good flavor. Large, firm fruit. Garretson Productive, seeded. Excellent quality. Eureka Heavy producer with flat, quality, red fruit. Self-fruitful, making a small tree. Astringent until ripe. Fuyu Medium-sized, red, somewhat square fruit. Non-astringent while firm; self-fruitful. Great Wall Vigorous trees with flat, small, orange-red fruit. Astringent until ripe. Jiro Large, round, yellow-orange fruit. Non-astringent with good quality. Moderately vigorous trees and productive. Korean Trees vigorous and moderately productive. Astringent until ripe. Sheng Moderately vigorous and productive trees with flat, large, orange fruit. Astringent until ripe. Tanenashi Large, cone-shaped, orange-yellow fruit without seed. Trees are moderately vigorous. Fruit ripens early and is astringent until ripe. ¹Non-astringent varieties may suffer cold injury north of the fall line (the border between the Piedmont and the Sandhills and Ridge). Excerpted from the South Carolina Master Gardener Training Manual, EC 678.